This was the scene at our squirrel feeder box today. Clearly they got fed up with having to lift the lid to access the food, and decided to chew the front off instead. 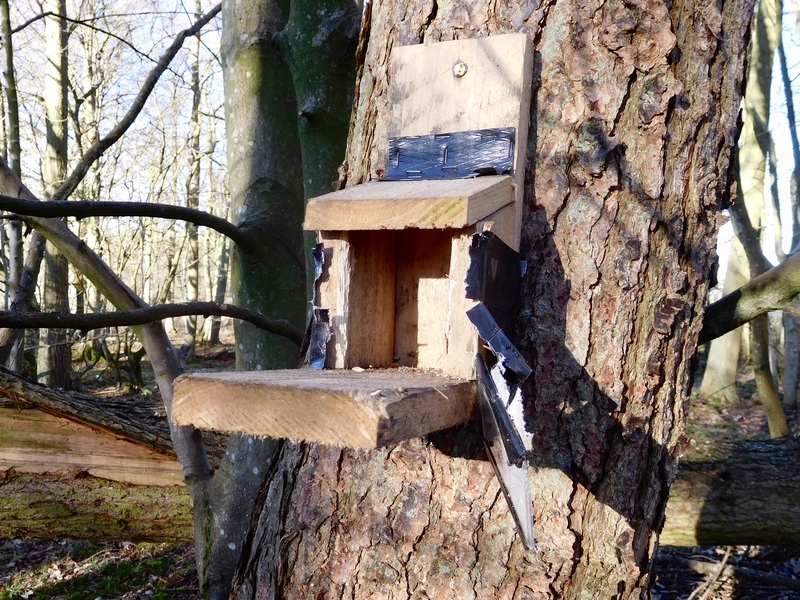 This is apparently quite a common problem with wooden feeders, and as it’s the third time they have destroyed one, we have now ordered one of these – made of nice sturdy metal. 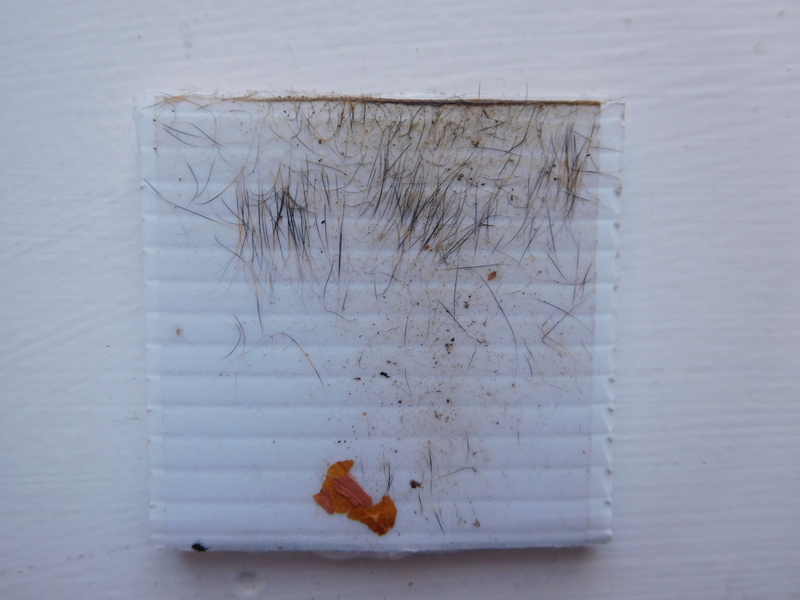 I’ve done a runnng repair in the mean time, and I did manage to salvage the sticky pad, complete with a good coating of hair. This will go off for analysis. Let’s just hope they belong to red squirrels, rather than grey ones.